Welcome to today's edition of Nerd Alert, where we have all the quirky, nerdy news that you crave in one convenient spot. What do we have in store for you on this fantastic Friday? We have a truly unique coffee table inspired by Christopher Nolan's Inception, a video breakdown of the most important pop culture cars and a guitarist perfectly plays iconic music from the Star Wars franchise. But wait, there's more! A young boy takes on a costumed Darth Vader in an epic Disneyland lightsaber fight and a new video explains everything wrong with Ant-Man. Sit back, relax and check out all that today's Nerd Alert has to offer. 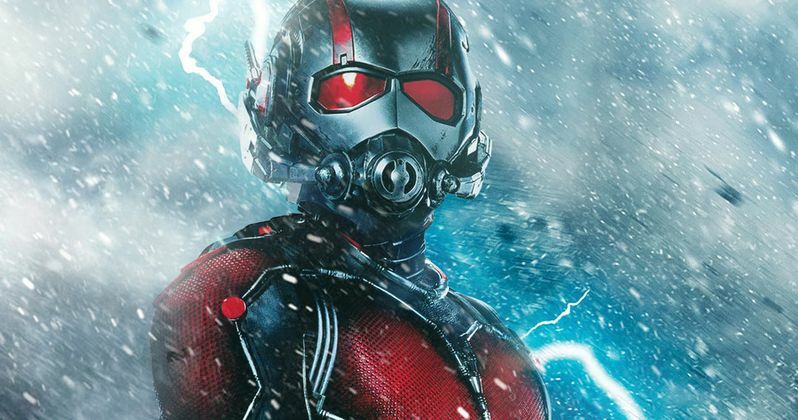 Cinema Sins is back with a new batch of movies to deconstruct, and they're kicking off 2016 with Ant-Man. This 20-minute video delves into the most miniscule of details, which many may not have noticed, while taking the filmmakers to task about Scott Lang's criminal past and much more. It appears to be a lot more in-depth that other videos I've seen from CS, and it's certainly quite entertaining. Screen Rant has another video breakdown, which breaks down 10 hidden details that fans didn't know about popular movie characters. This video explains how Dustin Hoffman and Bob Hoskins decided that their characters Captain Hook and Smee were actually lovers in Hook, although it isn't explicitly stated in the movie, along with more details about the back story of Coma the Doof Warrior in Mad Max: Fury Road. Brian Kesinger, an artist for Walt Disney Studios Animation and Marvel Comics, has taken it upon himself to create new artwork for Star Wars: The Force Awakens, drawn in the style of the beloved comic strip Calvin and Hobbes. Some of these pieces feature Rey and BB-8 sledding down the dunes of Jakku, Finn's TIE Fighter crash landing and an amusing take on a young Kylo Ren from his parents. Last summer, Alhambra Guitar Spain posted an incredible video of guitarist Rafael Aguirre playing some of the most iconic Star Wars themes on an acoustic guitar. With the franchise now firmly back in the spotlight thanks to Star Wars: The Force Awakens, it seems like perfect timing that we discovered this incredible seven minute video now, because his talent is truly a sight to behold. If you love pop culture as much as you love iconic cars, then Jalopnik has jut the video for you. The site has put together the most iconic pop culture cars from the past 50 years, with one car representing each year. This succinct two-minute video features cars from classics like Vanishing Point, The Godfather, and, of course, the Gigahorse from Mad Max: Fury Road. One of the many Star Wars attractions at Disneyland is a Jedi Training Academy, where visitors can learn how to properly wield a lightsaber. LMG Vids posted a hilarious video from last year that we're just learning about now, which features a young Padawan taking this fight a little too seriously. Even if you've seen this video before, it's well worth a re-watch. Kudos, young Padawan, whoever you are. Artist Stelios Moussaris has created the coffee table to end all coffee tables, and you can own it yourself, if you're willing to drop some serious coin. This coffee table was inspired by the city-bending scene from Christopher Nolan's 2010 masterpiece Inception, and it is truly incredible. The table costs 5,000 Euros ($5445.50 US), which includes shipping, so you can visit Mousarris.com if you want to place an order.